▪ Add long leather gloves and go sleeveless for a chic statement look. ▪ Team it over a cashmere sweater & jeans and turn into a sophisticated glam gal. ▪ Layer over a Second Skin Seamless knit tops for a match made in heaven! These one-size-fits-all tops are ideal for this season. These form-fitting, seamless tops work under another top, at the gym or alone to dress up your day or night wear. Now that everything you could possibly need fits inside your cell phone, why lug around that huge hobo? It’s all about the Micro Purse in 2018. Sun or no sun – sunglasses transcend the seasons, and can really finish off the perfect outfit. 2018 sunglasses trends have made shades hotter than ever from cat-eye to pearls and rhinestones. In early 2018, it’s all about the fit, novelty heels, and comfort! 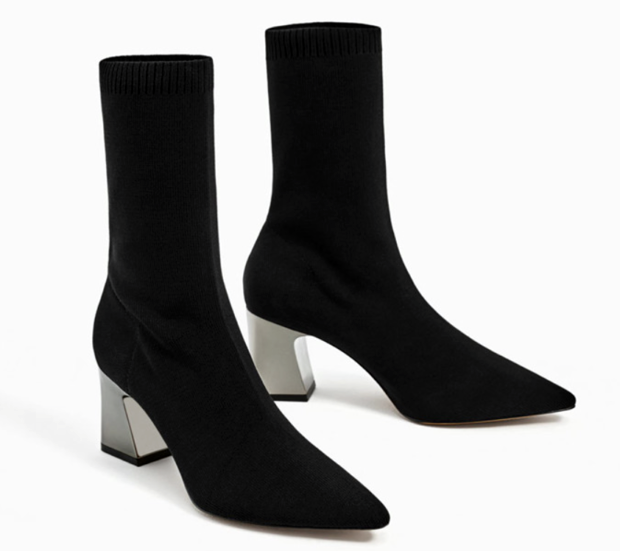 From the sock boot to the stretch boot we’ll keep you walking in style through the spring! Knit dresses inject a little fun into your wardrobe for this time of year. Versatile enough to wear with sneakers for an urban vibe or with heels to that special event. Madonna & Co is both a fashion boutique and a beauty bar all under one roof at their Upper East Side location. 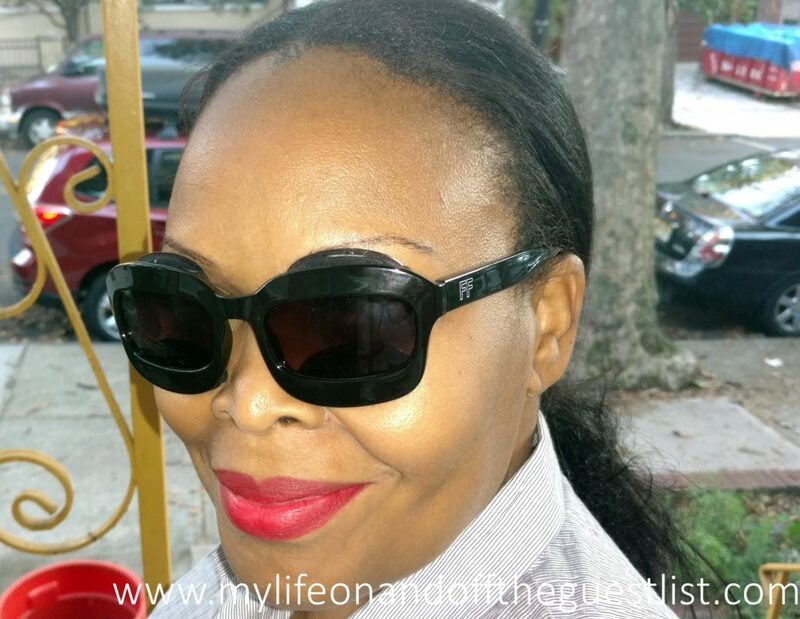 An affordable luxury for fashionistas of all ages, Madonna & Co is completely, and uniquely about the customer, offering a variety of products & services from fashion advice, beauty experiences, makeup and skin care needs and beautiful apparel collections. While getting an Apple Watch as a Christmas gift this holiday season is an amazing thing, it’s overall look may not reflect your personal style or even fit with what you may be wearing on during an evening out. What if you can style up your new ultimate piece of technology with a variety of very chic and very stylish watch straps to enhance your everyday style? Look no further than The Ultimate Cuff to style up your Apple Watch. Created by founder and CEO Anne Zacharias, together with Creative Director Tiffany Castillo, The Ultimate Cuff range is 100% nickel free, so they’re perfect for people with sensitive skin. The fashionable cuffs are made out of brass, which is then plated with either 14k Gold, 14k Rose Gold, or Silver Rhodium. The Ultimate Cuff is available in eight straps styles that range from thin to wide, and come in two sizes – 38mm or 42mm, so you can accurately match and fit the Apple Watch series 1, 2 and 3. These stylish Apple watch bands include the Mia, Catalina, Artemis, Cleo, Lola Mini, Diana, Coco, and Coco Mini. All boast adjustable closures that features a chain designed to make resizing to your ideal fit a breeze. The Mia Cuff ($98.00) is a classic design with a streamlined look to enhance your everyday style. The Catalina Cuff‘s ($122.00) tropical design of the Monstera leaf will pair perfectly with your vacation wardrobe. The Artemis Cuff ($98.00) is designed after the Greek Goddess for which she was named. The cuff represents the goddess known for carrying a bow and arrow. Its double arrow design will surely make your inner goddess stand out. The Cleo Cuff‘s ($116.00) scalloped design offers a softer look while being both stylish and feminine. The Lola Mini Cuff ($112.00)adds a little extra jewelry to your everyday smartwatch. The cuff is dressed up with beautiful white and turquoise Howlite stones (each cuff is set with 8 stones – Silver with turquoise dyed, and yellow and rose gold with white Howlite). The Diana Cuff ($116.00)was named after the original Wonder Woman. The new Diana cuff was designed with sleek and modern lines to make a statement whether worn with your own jewelry, or on its own. The Coco Cuff ($116.00) is a cool statement piece on its own. It has hammered detail and high shine polish. The Coco Mini Cuff ($98.00) is the sister to our original style, only half the width. It makes for a very cool statement piece with its hammered detail and high shine polish. What are your thoughts on these stylish offerings from The Ultimate Cuff? Are they going to be on your holiday wish or gift list? Raise your hand if you love receiving gorgeous things as gifts. Take, for example, the gorgeous jewelry from PONO by Joan Goodman, the statement pieces are conversation starters and always elicit compliments. What better to show how much someone means to you than to give them something beautiful. 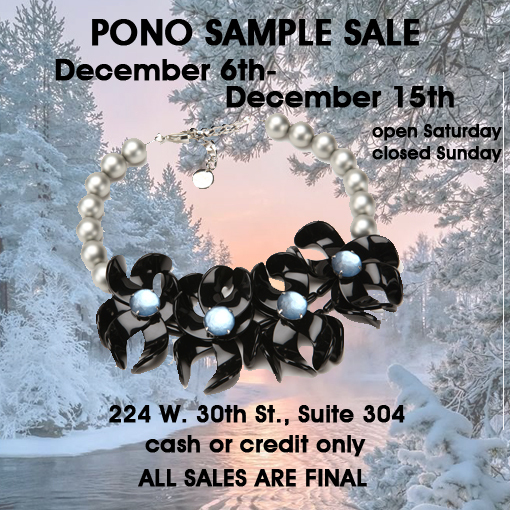 The best part, you get to save money on the gift.Pop into the PONO by Joan Goodman Holiday 2017 Sample Sale where baubles galore are 50-80% off. As you shop, take a tour around the tables with designer Joan Goodman, and learn all about the amazing jewelry you’re picking up. What great deals can you get at the PONO by Joan Goodman Holiday 2017 Sample Sale? 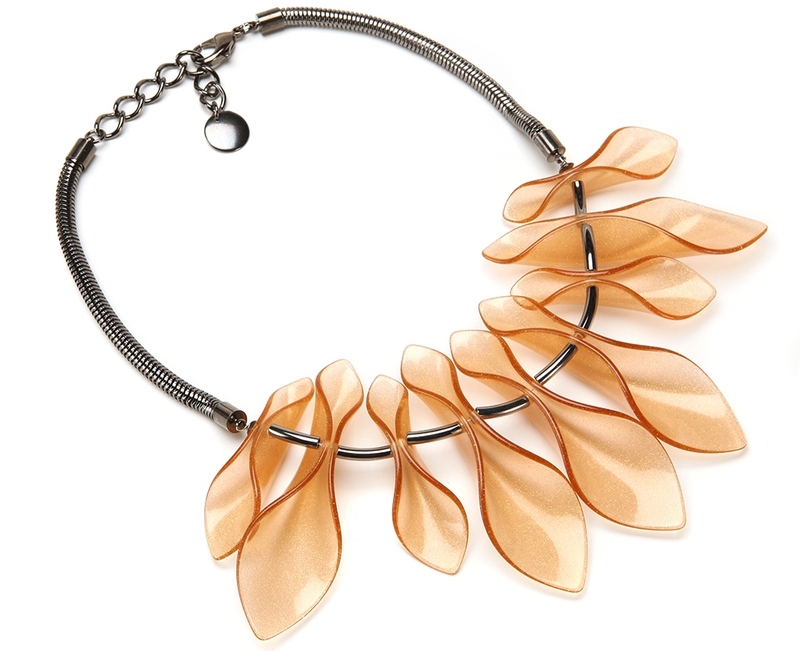 How about the Dancing Flower Necklace formerly $425, now available at a novel $150. Why not make the holidays glisten with a Petal Resin Choker in Stardust – originally $415, now all yours at an accessible $100. 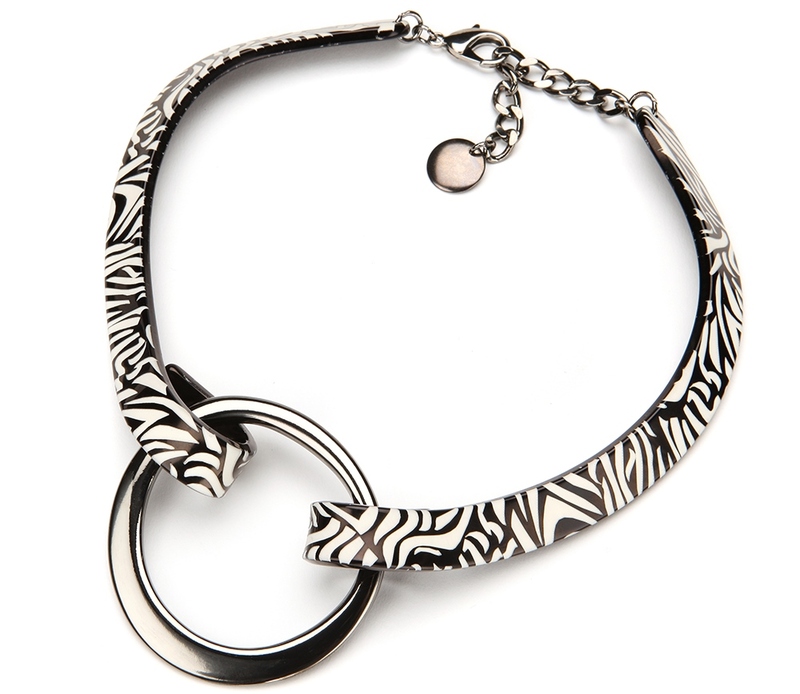 For those who fancy something fierce and fabulous, select a stack of Metallic Animal Print Bangles, originally priced at $80, currently collectible at only $25 apiece. Go bold with the Big “O” Choker reduced to $75, from its original price of $275. For your deal shopping finale, finish at PONO’s bangle bar, where 3 bangles are $25, 5 bangles go for $30, and 10 bangles can be yours for only $50. All the PONO by Joan Goodman bangles are originally valued at $30-$45 each. The PONO by Joan Goodman Holiday 2017 Sample Sale takes place from Dec 6th – Dec 15th, from 9am–6pm (please note it is closed on Sunday). The sale is located at 224 W 30th St, Suite 304, between 7th and 8th Aves. To indulge in all the pretty things, get the following subways: B, D, F, M, N, Q, or R to 34th Street/Herald Square, or the 1, 2, 3, A, C, E to Penn Station. For more information, call 212-216 0044 or visit www.ponobyjoangoodman.com. Will you be stopping by the PONO by Joan Goodman Holiday 2017 Sample Sale? We’re continuing our #GivingTuesday coverage with a great way to save the life of a baby Sea Turtle. What’s a more wonderful gift to give, than the gift of life? If you’re looking for more holiday gift ideas that benefit a good cause, keep reading on for a delicious gift idea that is as precious as it is flavorful. 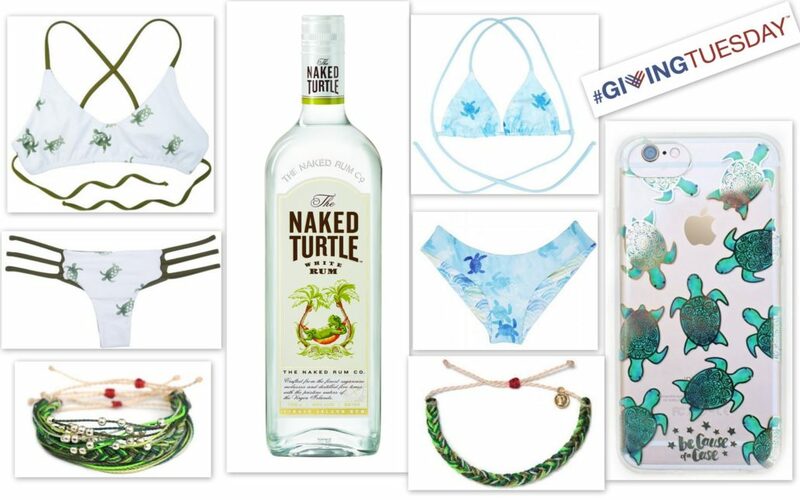 This holiday season is the perfect time to #SipNakedSaveTurtles with The Naked Turtle White Rum. With only one in every 1,000 sea turtle hatchlings surviving into adulthood, help these flippered friends make it home for the holidays by gifting the gift that keeps on giving. This wonderfully delicious gift is sure to impress your animal-lover on your list. 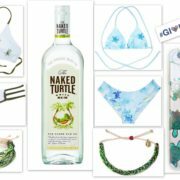 And if that animal lover on your list is especially obsessed with Sea Turtles or just loves truly adorable animals, the STC (Sea Turtle Conservancy), the largest and longest-running organization dedicated to the research and conservation of sea turtles, offers a few more gifts ideas that also benefit these adorable sea creatures. Available in 50mL, 375mL, 750mL, 1L, and 1.75L sizes, The Naked Turtle White Rum is available in FL, NC, SC, HI, TX, LA, MA, RI, MD, DE, NJ, NY, DC, and CT.
For some people, gift giving is easy. For others, not so much, especially if you’re trying to find holiday gifts for the woman who does it all. 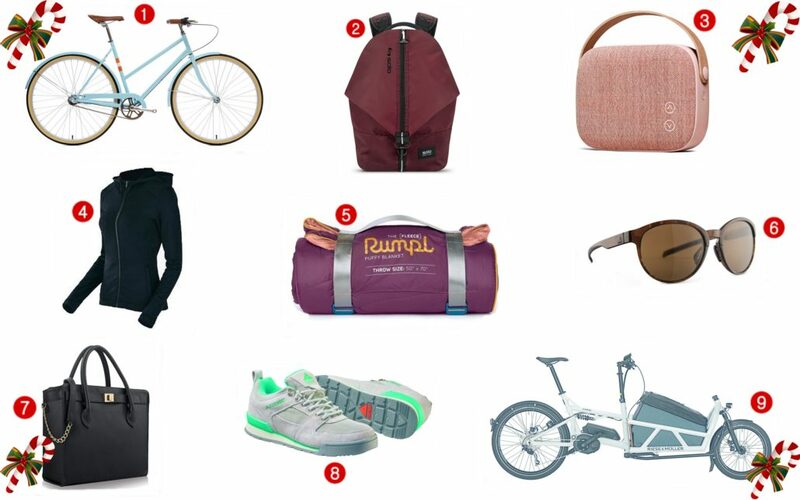 But fear not, we’ve got some amazing and unique products from brands like adidas Sport eyewear, Rumpl, Vifa, Riese & Müller ebikes, Faction Skis, Solo New York, and more. 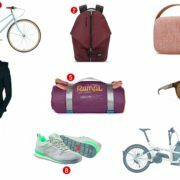 Whether you’re thinking of gifting outdoor gear, casual chic products, or luxury electronics, there are some really unique gifts that won’t disappoint. Whether you’re on a budget or the sky’s the limit, you’ll enjoy giving these gifts for the woman who does it all. Give the gift of riding in style. With coaster brakes, fenders, and the beautiful “sky” blue frame with orange accents, you are sure to turn heads on this old school ultra-light cruiser. Help her stay organized and stylish with the Peak Backpack’s edgy lightweight design, equipped with a padded laptop compartment and a quick-access back pocket. A fashionable, petite Bluetooth speaker from Nordic audio company Vifa. The Helsinki speaker packs a whole lot of sound into a beautiful, eye-catching shape. Available in Dusty Rose, Sandstone Grey, Misty Blue and Willow Green. From Mission Workshop – the pinnacle of technical, performance apparel and bags, comes The Torre: Wind Pro, a tailored woman’s hoodie made from Polartec® Windpro® Hardface®, one of the most advanced knit fabrics ever made. Wind, water and wrinkle resistant, this jacket is built to endure. From the camp chair to the cabin, Rumpl’s Fleece Puffy Blanket is so good you might not want to share. One side is the classic weather resistant Nylon and the other is an ultra soft moleskin fleece. With an insulation range of 150g-300g, depending on size, this new roll-up blanket is ideal for the coldest conditions. Available in Deepwater Blue or Iris Purple. A versatile frame that features adjustable nose pads and gripped inside temples to ensure a perfect, stable fit. The frame is made of SPX®, a lightweight and durable material exclusive to adidas Sport eyewear. With various colorways and an assortment of lenses to choose from, these new Sport Essentials sunglasses are perfect for the active life. Trendy and functional, this Tote from Solo New York is a great gift that won’t break your budget. Available in black and burgundy. With a fresh twist on 80’s style hiking boots, the Monty Lo will keep your feet happy wherever you go. The high-density rubber lugged sole will give you powerful traction, from slippery rocks by the river to loose gravel on the hiking trail. Whether you are going for a quick morning walk or a long day hike (or just want to look sharp around town), comfort is key, and the Monty Lo provides just that. Replace the minivan and make errands a blast with The Load, a full suspension pedal-assist cargo bike that mixes sporty fun with room enough to carry children, dogs, groceries and anything else you might need, up to 200lbs of cargo. The Load is available with DualBattery technology, giving up to a 100-mile range on a single charge. Designed and built by premium eBike maker, Riese & Müller, each Load is custom built to order at the company’s factory outside of Frankfurt, Germany. What do you think of these holiday gifts for the woman who does it all? 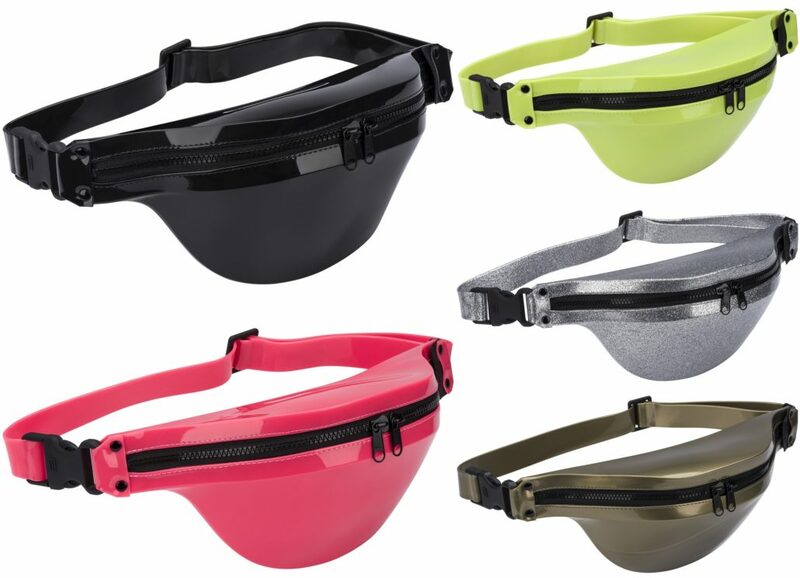 You may have noticed that fanny packs have been enjoying a major resurgence this year. No longer is it the dreadful accessory of unstylish tourists or uncool dads. And while we’re seen a few that have caught our eye, the one fanny pack that we’re totally in love with is the Melissa Pochete (also known as the Melissa Bum Bag). The returning trendy bag makes its debut this season in the Melissa Shoes Fall/Winter 2017 collection, the Flygirl Collection. The Fall/Winter 2017 from Melissa Shoes looks to inspire girls and women – of all genders – to fly with freedom. Women and girls that celebrate their uniqueness, and are more self-confident and self-affirming……a message we wholeheartedly agree with. 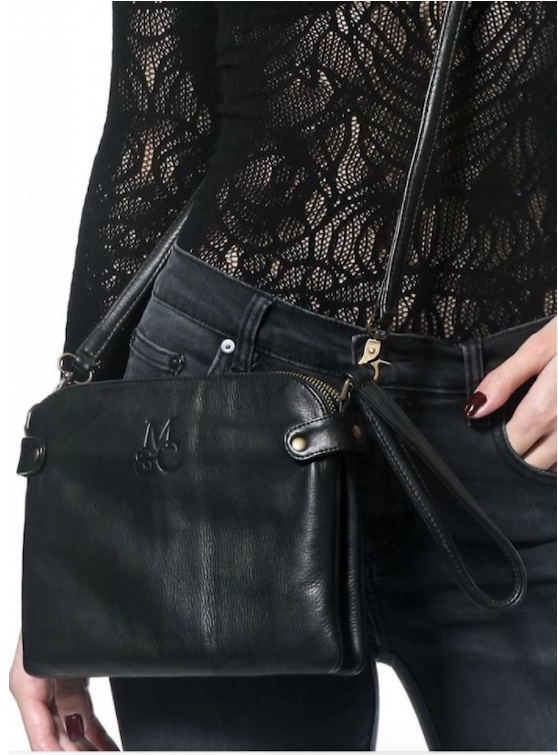 The Melissa Pochete is Melissa Shoes’ version of the fanny pack, but in a cool, modern shape and availability in bold, and interesting colors, such as black, neon green, neon pink, antique gold, and silver with glitter. The Melissa Pochette joins the growing list of the brand’s must-have bags, including the Melissa Sac Bag, Melissa Satchel + the Cambridge Satchel Co (which we’ve highlighted on this blog), and the Pupila + Vitorino Campos Bag. We love our Melissa Pochette. We fell in love with the silver with glitter and receive compliments whenever we rock it. The best part, the Pochete coordinates wonderfully with several styles of Melissa shoes, including boots, sandals, and heels. Our silver with glitter Pochete pairs perfectly with the Melissa Flox Unisex Sandals, the Melissa Stellar Boots, the Melissa Aranha Quadrada, the Melissa Grunge + Vitorino Campos Shoes, all of which are from the Fall/Winter 2017 Flygirl Collection. As with all their products, the Pochete is made from Melissa’s signature Melflex plastic, you a cool a vegan alternative to leather fanny packs. Are you a fan of the returning fanny pack trend? Will you be rocking the Melissa Pochete bag? Which color would you go for? When it comes to our writing, you can find us up late almost every night updating our blog, setting up drafts, or editing our photos. This nightly ritual comes at an expense of course……..tired and puffy eyes. Naturally, we try to combat this with eye creams, cold compresses and cucumber slices on our eyes, and of course, a chic pair of sunglasses. Ever wonder how effective it would be if you could combine two of those solutions, without looking silly of course. We’re here to let you know, you can eliminate tired, puffy eyes while looking stylish, with Freeze Frames Cool Eyewear. 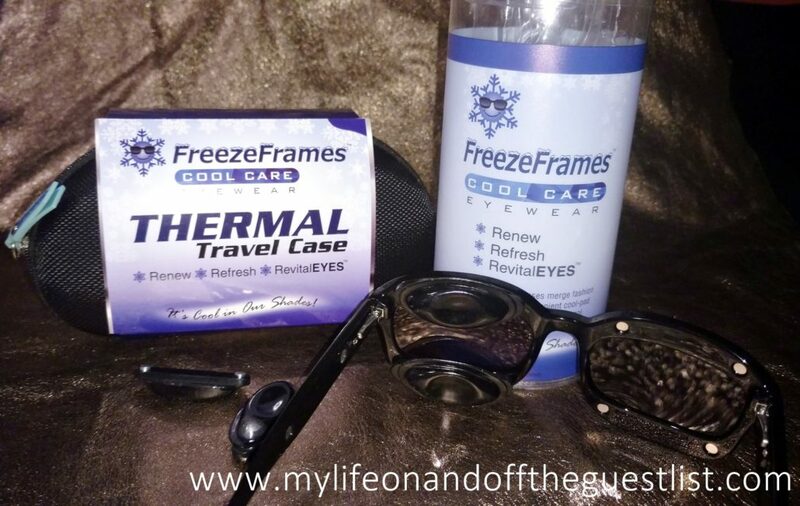 Freeze Frames provides the benefits of an ice eye mask through the ease and stylish look of sunglasses. Say goodbye to tired, puffy eyes through this, innovative and never-before-seen unisex range of sunglasses. 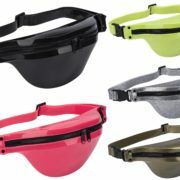 Freeze Frames Cool Eyewear, invented by LA-based specialty nurse Alison Read, is the first conceptualized fashion accessory that is a dual-purpose device providing both 100% UVA-UVB protection, and cooling eye therapy. 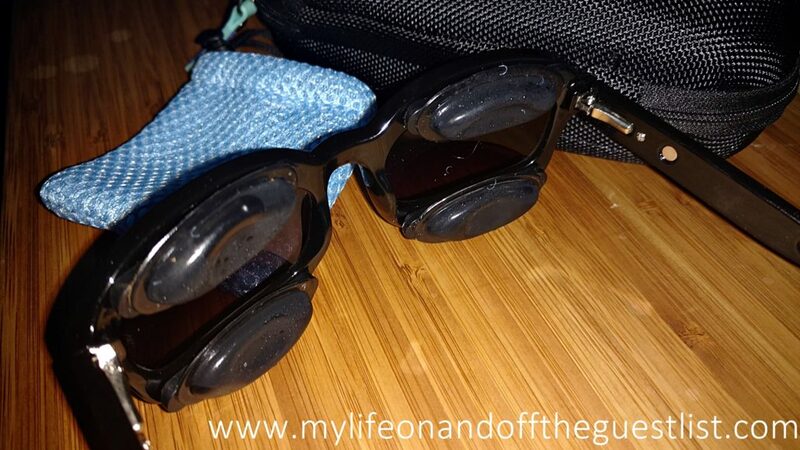 Boasting reusable Gel-Pads that magnetically clicks into place on the Freeze Frames Cool Eyewear casing, you are free to discretely target zone-specific problematic eye areas while looking as chic as ever. Up until the introduction of Freeze Frames Cool Eyewear, the only solution for “puffy eye” days left you limited to messy ice packs and dripping compresses. No longer will swollen eye sufferers forced to remain indoors, cowering out of sight, feeling unattractive and unable to do anything else. 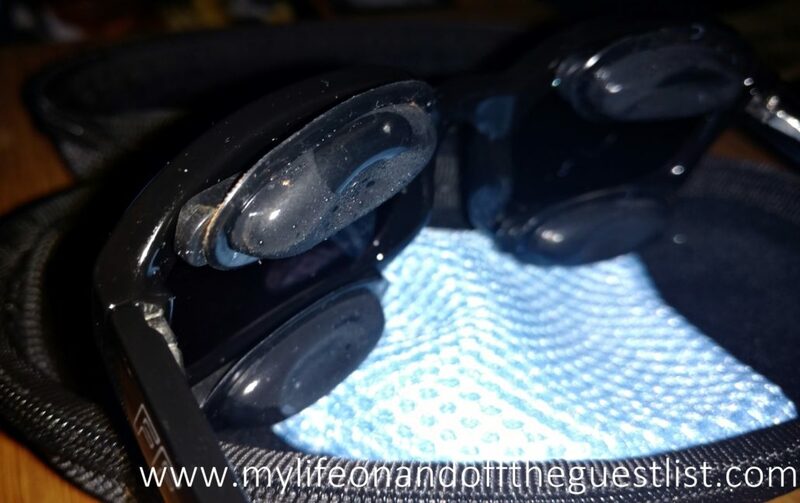 The patented Gel-Pad attachments that come with the Freeze Frames Cool Eyewear soothes your puffy and tired eyes with a gentle cooling compression similar to how a nurse might apply ice to swollen, symptomatic eyes. The Gel-Pads first go in the freezer or a cup of ice for a recommended 20 to 60 minutes before use. Place each gel-pad attachment in the designated areas of your Freeze Frames targeting your lower, upper eye and/or nose-bridge areas. 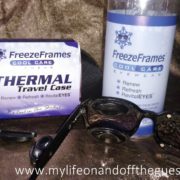 Freeze Frames Cool Eyewear are ideal to wear after a spa or medical treatment to decrease pain and bruising while also increasing the healing. Use them to soothe allergic puffiness, PMS inflammation, computer and dry eye strain, or revitalize your eyes after a long flight. Our favorite benefit of Freeze Frames Cool Eyewear is the fact that it works wonders in relieving headache and migraine symptoms. The Gel-Pads remain cool for 15 to 20 minutes and can be repeated throughout the day at 20-minute intervals. Be advised that cold therapy applications to sensitive tissue areas should be limited to 15-20 minutes at a time. Freeze Frames Cool Eyewear is available exclusively online at www.FreezeFrames.com for $89.95, with more styles and colors to follow soon. We have a love hate relationship with earbuds and in-ear headphones, especially during the hot summer months. We love earbuds because our ears won’t be over heated on those extra hot and humid days like they do with over-the-ear headphones, we won’t suffer from the telltale signs of over-the-ear headband hair, and we’re still able to hear what’s happening around us. What don’t we like about earbuds and in-ear headphones? They don’t fit securely in our ears and always end up feeling loose, they always fall out, and they always end up falling on the dirty ground where they usually accidentally get stepped on. Luckily there are two get products that eliminate earbud and in-ear headphone wearing issues, BudStraps Earbud Straps and Earhoox Earbuds Silicone Attachments. Say goodbye to struggles with unruly in-ear headphone cords. When you wear the combination of the BudStraps Earbud Straps and Earhoox Earbuds Silicone Attachments you keep your earbuds and in-ear headphones safely out of your way. We promise these two small tech accessories will make your active life a whole lot better. Forget about earbuds falling out or being uncomfortable, Earhoox will make you forget you’re wearing earbuds at all. Earhoox will provide a perfect fit no matter how much you move (and that includes running). What is Earhoox exactly? Earhoox is a silicone attachment specifically designed to fit and enhance Apple EarPods and AirPods. (although we tried them with our Beats in-ear headphones and they worked perfectly). They fit comfortably in your ears and ensure a secure fit for any activities. The Earhoox are compatible with EarPods that come with iPhone 5, iPhone 6, and iPhone 7. Each set of Earhoox come in two sizes, large and small. Just stretch them on and enjoy a secure earbud wearing experience. 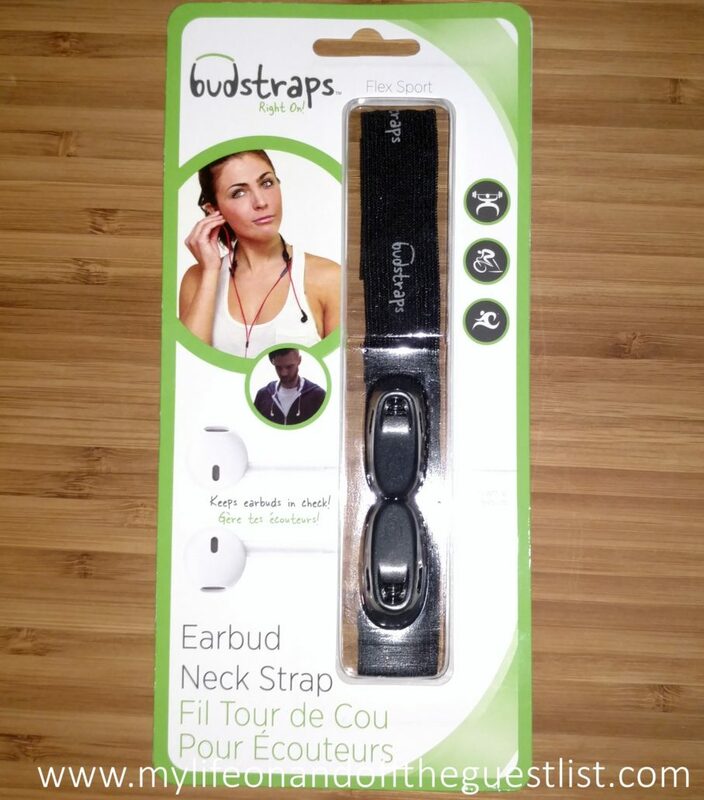 Forget always have to corral the cords of your earbuds, BudStraps keep your earbuds conveniently hanging on. BudStraps keep your earbuds and in-ear headphones around your neck (and not the floor). Whether you’re working out at the gym, running outdoors, or just hanging out, BudStraps eliminate cord tangles, prevent your earbuds and in-ear headphones from getting accidentally yanked out of your ears, and keeps your earbuds and in-ear headphones nearby if they’re removed temporarily. If you’ve ever seen someone with glasses keep their eyewear around their neck with eyewear retainers, then you know what BudStraps will do for your earbuds and in-ear headphones. What are your thoughts on these BudStraps Earbud Straps and Earhoox Earbuds Silicone Attachments? Could these tech accessories cure the common earbuds, in-ear headphone, and airpod issues?